AMSOIL stands apart from the crowd by offering more opportunities to build successful businesses. 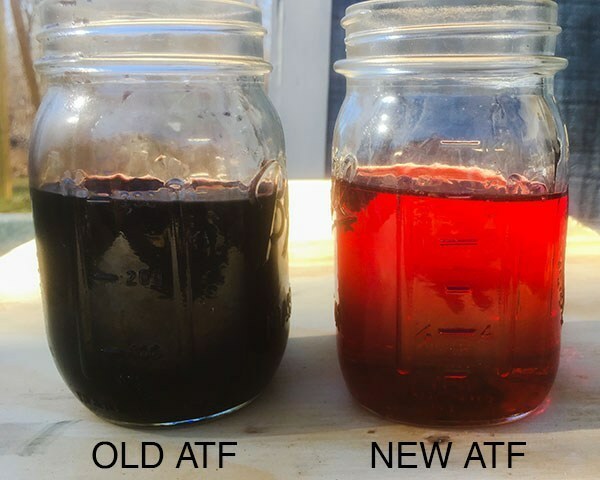 When we introduced the world’s first API qualified synthetic motor oil in 1972, it languished on store shelves next to its much cheaper conventional-oil counterparts. Consumers hadn’t heard of synthetic oil and didn’t understand its benefits. That all changed with the founding of the Dealer network in 1973. 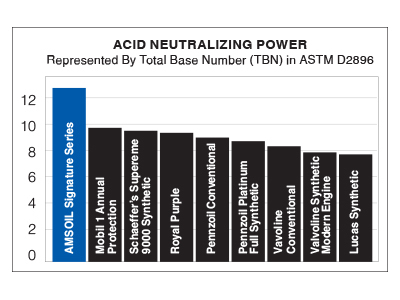 Our Dealers were able to convey the benefits of synthetic lubricants much better than simple product labels could, and the company grew exponentially. Today, our business model has evolved into something entirely unique from other multi-level marketing companies. Here’s what sets us apart and makes AMSOIL a solid opportunity. On a side note AMSOIL is driven by automotive enthusiasts so it’s a great way to fund your passion! Typical MLM companies spend little to no money on advertising and sponsorships. Instead, they depend on person-to-person interactions to get the word out about their products. While AMSOIL does count on Dealers to personally share the benefits of our synthetic lubricants, we also invest in national advertising campaigns online, on television and in print. You can find AMSOIL ads everywhere from niche magazines such as Diesel Power, to mainstream publications reaching millions, such as Motor Trend and Car & Driver. In addition, we have several partnerships as the Official Oil of some of the country’s biggest events, including Daytona Bike Week and The Sturgis Motorcycle Rally. We also sponsor several high-profile racing series, such as Monster Energy Supercross and AMSOIL Championship Snocross, along with professional racers in most forms of racing. The advertising, partnerships and sponsorships further heighten brand awareness, generating more interest in AMSOIL products and bringing in more potential customers for you. Unlike “opportunities” offered by many so-called MLM companies, the AMSOIL business opportunity is not a pyramid scheme. The flexibility of our Dealer program allows you to move up and even surpass your sponsoring Dealer in sales and commissions. As independents, your success isn’t hindered by a corporate structure; it’s tied directly to how hard you work and how well you serve your customers. Another major difference between AMSOIL and other MLM companies is that AMSOIL offers Commercial and Retail Programs for product sales. To our knowledge, no other MLM company offers similar programs. Typically, MLMs rely exclusively on their distributors conducting person-to-person sales and sponsoring. By offering Commercial and Retail Programs, AMSOIL gives Dealers more opportunity to conduct business and sell larger volumes of products to accounts. Keeping our Dealers up-to-date on the latest knowledge about the industry is one of our top priorities. AMSOIL provides a vast array of resources and training materials to educate our Dealers, including the Dealer Zone, AU Online and a wide selection of literature items and publications. We also provide technical assistance and opportunities to learn directly from AMSOIL corporate staff at regional sales meetings and conventions, as well as through phone and email correspondence. AMSOIL has always committed to the highest standards of quality. We publish verifiable test results and performance data on all our synthetic lubricants. We couldn’t exist unless we were the best. That’s why 50% of the entire wind-Turbine industry now depends on AMSOIL. We make supportable and legitimate claims about our products. We have also never relied on phony “get rich quick” claims to lure Dealers in. We have always maintained that achieving prosperity as an AMSOIL Dealer requires hard work and dedication. The AMSOIL business opportunity is not based on a fabricated promise of instant riches; it’s based on the driving force of persistence and self reliance to achieve success. AMSOIL has built a solid reputation as a company and independent business opportunity for almost 45 years. We developed the world’s first API-qualified synthetic motor oil and continue to work hard to provide the best lubricants on the market and a premium business opportunity for our Dealers. Explore more about the dynamics of starting your home business which fits your hobby on our own AMSOIL Dealer opportunity page.